So, you’ve been tapped to write a content plan for your client or brand. On the surface, it seems like a pretty straightforward task. I mean, how difficult can it be to plan out a few tweets or posts over the next few weeks? Child’s play right? I know how easy it is to underestimate the planning necessary to make a social content strategy come to life. I blame this on a grandfathered-in “post now, ask questions later” social marketing mentality of the past. With a lot of experience executing content strategies on my own and with other very talented content marketers here at Weber Shandwick, I can confidently say that social networks and their users have evolved, and continue to do so at a rapid rate. They crave unique content that’s tailored to their changing needs and conducive to their natural social behavior. Our approach to social content must reflect this. To accommodate the current oft-changing landscape, I’ve created a crash course on social content planning that will help you get off on the right foot by creating a solid foundation, set a framework by constructing a reliable roadmap and execute by following an adaptable game plan. Business Goal Alignment: Yes, as much as we tend to ignore it, our content always needs to serve a greater purpose. And that’s to help meet our business and marketing goals. Regardless of whether you’re trying to create more leads or build more brand awareness, every piece of content you publish needs to ladder up to your overarching goals. My suggestion is to lay out all of your goals, and then use them as a filter for the rest of your plan, from the individual content pieces all the way up to your social media objectives (which we’ll go over next). Social Media Objectives: After determining how your content will help you achieve your business goals, it’s time to think through your social media objectives. They key here is to use your business goals as a guide. So for example, if your business goal is to create more leads, an appropriate social media objective could be to drive shares of and click-throughs to your e-newsletter sign-up page. To make your objectives even better, I suggest adding timelines and measurable results. If we use the same example, our social media objective could be to drive 100 shares of and 1,000 click-throughs to your e-newsletter sign-up page by the next quarter. Audience and Landscape Analyses: Goals and objectives down. Now comes the research. Unfortunately, this part of the planning process usually ends up getting the short end of the stick. It’s understandable considering good research requires a combination of accurate tools, man-hours and a smart analyst – things not readily available to every planner. Yet audience and landscape analyses are critical to any social content plan. They’ll help you determine your audience demographics and content consumption habits, competitors’ approach to content and potential niches to focus on. Social Voice and Tone: If you’ve gotten this far, it means you’ve nailed your goals, objectives and research, and it’s time to determine how you’re going to communicate your content and what look and feel your content is going to assume in final form. For this, I first suggest dusting off the trusty brand book and seeing how much of the contained guidelines can translate to your social content. For instance, brand attributes like “personable” and “easygoing” are easily transferable. Bring your voice and tone planning home by combining your existing branding with modern social engagement best practices and input from your designer (if you don’t have one in-house, try and get a hold of the designer involved with the creation of your brand book). Resource Evaluation: We’re talking content marketing, which means we need to talk content production too. This steps entails figuring out where all of your great content is going to come from. Is it going to come from your blog? Your designer? Are you going to curate or buy content? It’s important to find out what’s possible before coming up with too many brilliant ideas that you won’t be able to execute on. Resource evaluation is great to act as a reality check. Team Structure: Now comes the big question. Who’s going to run this thing? 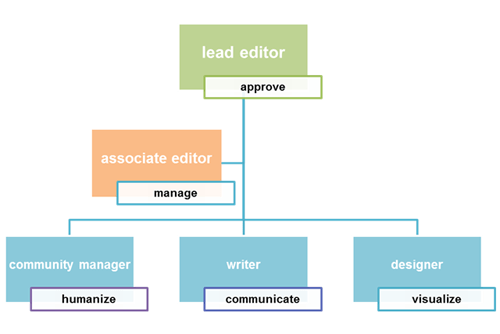 For this, I suggest setting up a hierarchy that works off of the bare-bones structure shown below. Note that roles can be combined to be assumed by one person if you’re working on a small team (or by yourself) and expanded to accommodate large, more specialized teams as well. The key is to recognize that these general roles are needed in order to create, humanize, edit and approve your content. Strategic Content: Your foundation is set, and now you’re ready to get to the fun part: planning out what your content is actually going to look like. Now that you’re here, I suggest breaking your creative thinking into three categories: custom vs. syndicated content, branded vs. common interest content and content functionality. I’ll go over each three below. Custom vs. Syndicated Content: Custom content is content you develop specifically for the social channel(s) you plan on publishing on. Could be a picture you shoot for a Facebook post or copy your write for a tweet. Syndicated content is content that already exists (either externally or on one of your other channels, like your blog) that you plan on syndicating on your social channel(s). By planning out content ideas based on this differentiation, you’ll be able to determine how heavily you’re going to rely on production vs. curation. Just know that as a general rule of thumb, custom content usually fares better in terms of engagement and virality but requires more of an investment to create. 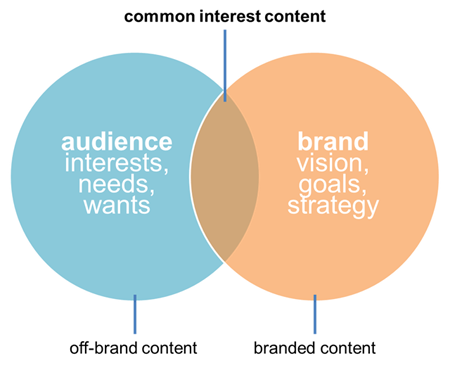 Branded vs. Common Interest Content: Next up is determining how much of your content will be overtly brand-focused and how much of it will fall into a common interest bucket. By branded content, I mean content that talks about or promotes your brand directly. Things like product promotions and company culture posts. Common interest content is content that isn’t in-your-face branded, instead it reflects a melding of brand and audience interests. For example, if you’re a quirky cupcake shop that serves a young hipster crowd, common interest content could be centered around indie music. It’s about finding a concept or topic that both the brand and audience can identify with. Content Functionality: Last up to bat is figuring out what purposes your different content pieces will serve after being published. In other words, what does your end result look like after your audience has consumed your content? For social content, I suggest considering three categories: sharable, engaging and useful. Develop content that’s either meant to be shared, to spark conversations or to benefit your audience’s lives. Or if you can pull it off, create content that hits all three. Set a Custom Time Frame: A common approach is to pick an arbitrary time frame (like a year let’s say) and then start plotting your content ideas until you fill up all the empty days. Although this can work, I suggest creating a custom time frame instead by looking at how real-time you want your content to be. How much of the content you publish will be reactionary to current events or curated the day of? If your answer is a lot, then I would suggest keeping to a shorter time frame. Additionally, if you predict that you’ll have to regularly tweak your longer term content to accommodate unforeseeable events or changes, a shorter time frame works best as well. Be Detailed: When structuring your ed-cal, my advice is to be very detailed in terms of what you’re tracking. This’ll help you better categorize your content and more easily revisit it when the time comes to evaluate your content’s effectiveness. Essential things to track include publish date, copy, content type, producer, production status and manager. I also recommend tracking results metrics – things like shares, click-throughs, retweets and comments (we’ll go over analytics in more detail later on). Create a Living Document: My last piece of ed-cal-related advice is to develop a document or spreadsheet that can be accessed and updated by multiple people in real-time. Cloud options offered through Google Drive and Office 365* are optimal for this. By creating a living document, you can ensure that all involved teammates can gain visibility into what’s coming down the content pipeline, while also being able to make changes when necessary. There’s nothing worse than the nightmare of disorganized version control. Agile Execution: Recently, my team and I had a chance to meet with some folks from Facebook to discuss Facebook marketing strategy and best practices. One of the key takeaways from our meeting was the importance of being agile when executing content plans. Because of how much audiences evolve and differ from one another, the only way to ensure continued success is to be able to be flexible enough to change course – and not bring the whole content engine to a grinding halt in the process. The other factor is speed. Your content needs to be able to keep up with your audience. This means you can’t afford to have multiple lengthy planning periods every time you adapt your strategy. So, when finalizing your content creation process, I suggest considering the social content lifecycle model below. 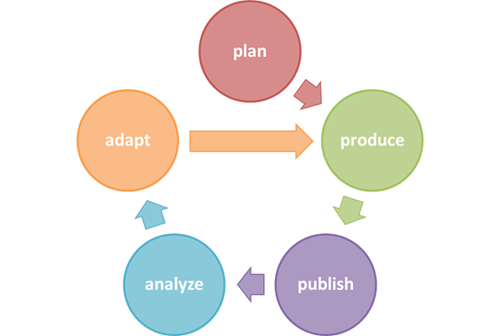 Plan, produce, publish, analyze and then adapt. Paid Promotion: Once you start publishing content, you’re bound to have pieces of content that just blow everything else out of the water. You’re also going to have content pieces that are of utmost importance to your audience and brand that you want a lot of eyeballs on. One of the ways to boost the reach of specific content is to utilize social advertising. Taking into consideration what channels you’re publishing on and how much budget you have to work with, I recommend thinking through paid very carefully and intentionally. Facebook, LinkedIn and Twitter’s built-in ad platforms are pretty straightforward, and there are a lot of great free resources online on paid strategy if you need a little guidance. Adaptly is also a good option to consider if you prefer having a vendor to facilitate things for you. Ongoing Analytics: The moment you publish your first piece of content, you should be tracking its effectiveness. And continue to do so for all other content as long as you’re executing on your social content plan. This is analytics: the ongoing analysis of how your content is doing, as defined by specific predetermined metrics (like comments, click-throughs and shares). There are many tools to help you keep track of how well your content is doing. Examples include native platform offerings like Facebook Insights and other third party options like Crowdbooster, Sysomos, Brandwatch and Radian6. 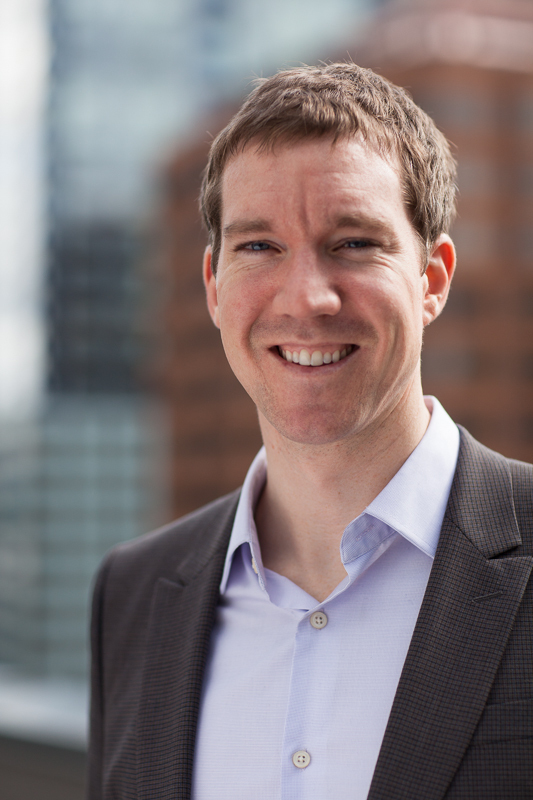 The key thing to keep in mind is that your analytics should inform how you adapt your content. Plan to use analytics to improve how you communicate and visualize, encourage engagement, decide publish times and ultimately align with your business goals and social media objectives. Having Fun: I’ll close with a reminder: have fun! The greatest aspect about planning for social content marketing is how creative you can be. From developing social voice to determining your custom vs. syndicated content ratio to figuring out what your content is actually going to look like, there’s so much opportunity to infuse creativity throughout your plan. Work hard, but enjoy the planning process, because it’s one fun journey to take from start to finish. The above is a guest post from colleague and social strategist/creative guru Justin Tsang (@justinjtsang). Next Post Want to Refresh Your 2013 Content Marketing Strategy?